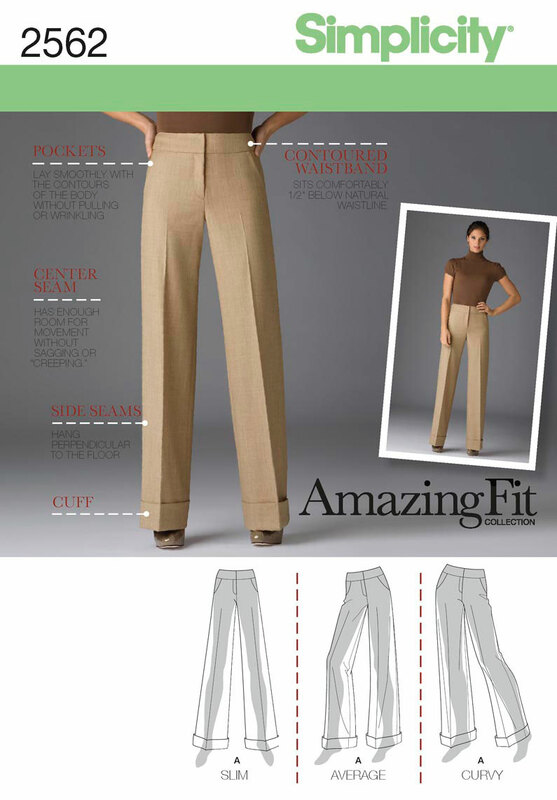 Pattern Description:Simplicity 2562–Misses’/miss petite wide leg pants with individual pattern pieces given for slim, average and curvy fit. Amazing Fit. Pattern Sizing: 6-14. I chose to make the size 12 slim fit. Did it look like the photo/drawing on the pattern envelope once you were done sewing? Yes, pretty much, without the center crease. Were the instructions easy to follow? Yes, the instructions were very easy to follow. For the zipper, I followed the directions to the T, and the fly came out great. 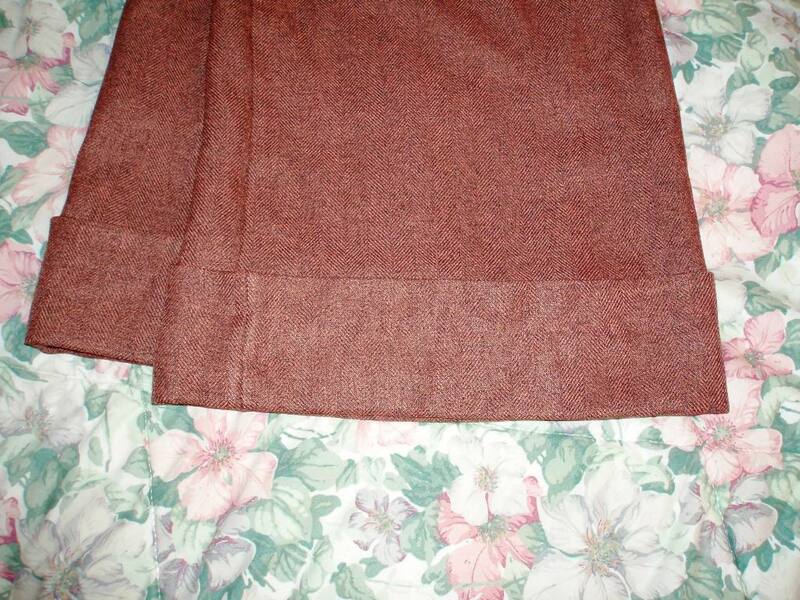 The only confusing aspect about the patterns were the instructions for sewing the seam binding to the inner facing. The drawings of the facing and where the seam binding goes are reversed. Also, contrary to the directions, I would bind the whole length of the facing. You’ll see what I mean when you look at the diagrams. Also, the directions tell you to blind hem the cuff using the machine, but I could not for the life of me figure it out. It was not going to work. 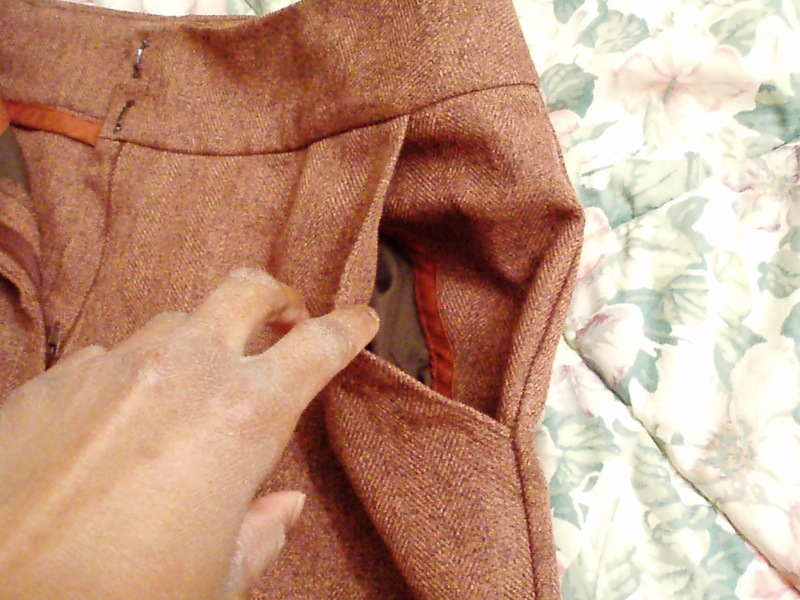 So I hand stitched the blind hem. It’s now my new favorite hand stitch! What did you particularly like or dislike about the pattern? The fit is perfect. The pants fit my waist and hips like a dream. I seemed to come up short on the cuffs though. I lost the markings where to fold the cuff and had to guesstimate. They should probably be lowered a half inch. Would you sew it again? Would you recommend it to others? 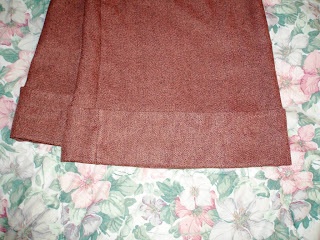 Yes, I have plans to sew this again. It was kind of tedious, but the results look so RTW and the fit is great! I never took a picture of myself in my coat, so here you go! Great job they fit you perfectly! You look absolutely gorgeous!!! Love the pants and coat! Hi, Gail. Yes, the legs are pretty wide. I think the center crease in the envelope picture makes them look skinnier than they are. But I really like the fit in the waist and hips. This is a really good pattern. I've just bought this pattern. They are wider in a legs than I imagined, but look great nonetheless. I'll look very closely at your review when I work out what fabric to use. Very nice!! Great fit on the pants and coat! Great pants! They look very flattering on you, too. You look great!!! Love the pants and the coat! You are so flippin' talented! 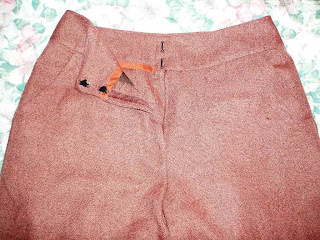 Great job on the pants! I love the fabric (and the hair) and the coat!